Give your image an extra boost by placing your card in a convenient holder. Customers will appreciate your thoughtfulness. 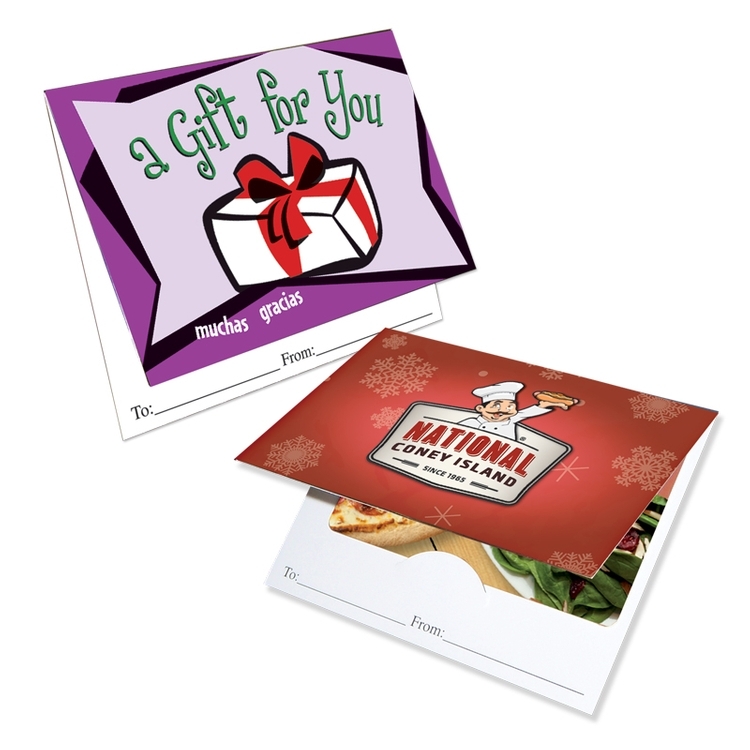 A personal message or gift card amount can be written inside. Plain white envelopes are available for additional charge. Measures 4" x 6", folds to 4" x 3 1/4". Die cut notches hold a standard 3 3/8" x 2 1/8" card. Ships open, flat. Submit art on template provided.